sidelines of the Shanghai Cooperation Organization Summit. cooperation, and the current international issues. 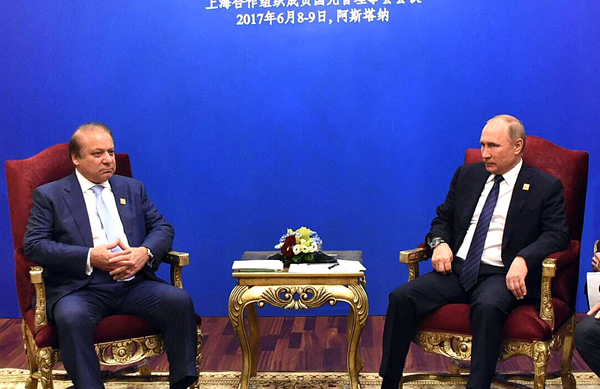 Vladimir Putin felicitated the prime minister on Pakistan’s accession to the Shanghai Cooperation Organisation. supporting Pakistan for the SCO’s full membership.